This entry was posted in Back to Basics, Goals and tagged Back to Basics, filing, Hangout, research systems by cassmob. Bookmark the permalink. 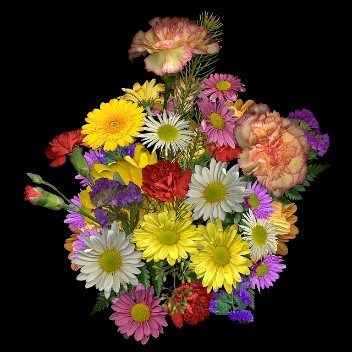 I’m so sorry we last your sound in the hangout as I was keen to hear from you. Thanks for this exhaustive post which demonstrates that you are human and honest – I too strive to be organised but living in chaos albeit with good intentions is my lot. Having attended a funeral for someone younger than us today I’ve had a jolt and am not going to beat up on myself for being slack. We need to leave time to smell the roses. Thanks Jill, I was sorry to have missed out on the hangout….or at least being an active participant. I’m sorry to hear about your friend…it is indeed sobering and serves as a wake-up call to life in general. One thing about my hangout collapse was spending time with the kids. Just overwhelmed by all you do and to think you’re not content with that.. I would be very happy if I got that organised, but then I woukd think I was living someone else’s life. I decided ages ago that what I do is up to me.. I’m reasonably organised, though to look at my desk you might not think it. I can usually find just what I want when I need it, though still behind in labelling photos, though they are mostly in the right folders. If only I could recall what safe place I put some certificates in, all would be well. It’s those safe places that defeat me too Chris! I have something that is being elusive now (for weeks+). Murphy will decree it will turn up when I don’t need it. Sorry to hear of your loss, Jill.. It really does serve as a reminder if what really matters doesn’t it. As for being organised, I am, sometimes, in some ways.. Thanks for this post, Pauleen. Like you I started back in the 80’s when we only had paper files. I’ve refined my paper files over the decades so that each family is in different coloured folders which makes it easy to pick up right ones. Mind you they now fill a whole bookcase! Each family has sections for Births and Baptisms, Marriages, Deaths, BMD Indexes, Cemetery Indexes, Places the family lived in, WW1 or 2 if relevant, Work or Apprenticeship papers, Photos, Clues, Correspondence and various other sections relevant to that family. One family takes up 2 folders while another takes up 6 folders. My digital files are in similar order under family name and then the sections are as above except that each individual image has the relevant year as the first part of the file name. 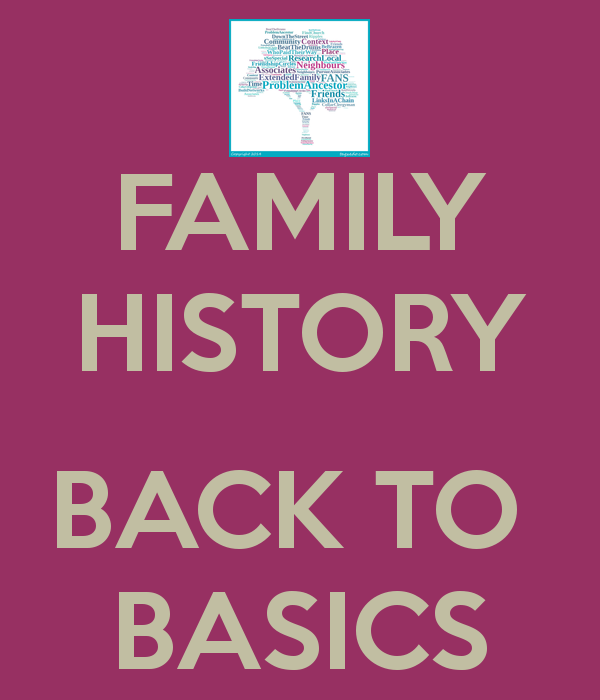 I find it so much easier then to find something as it will be under the family name and category and then the year. It works for me. My biggest challenge is to scan in all the documents I collected before the Internet. This came home to me with a vengeance when we thought we might have to evacuate during the recent bushfire and my spouse was shocked at how much I wanted to take. But of course, I’d rather continue researching and not do boring things like scanning. Sounds like we have a similar approach but your digital ones sound more methodical than mine. I know what you mean about rescuing things at the approach of disaster (in my case cyclones)… Scary to think how much could be lost. I’ve done a lot of scanning but there’s always more. So pleased you escaped the fires….they would be terrifying I think. 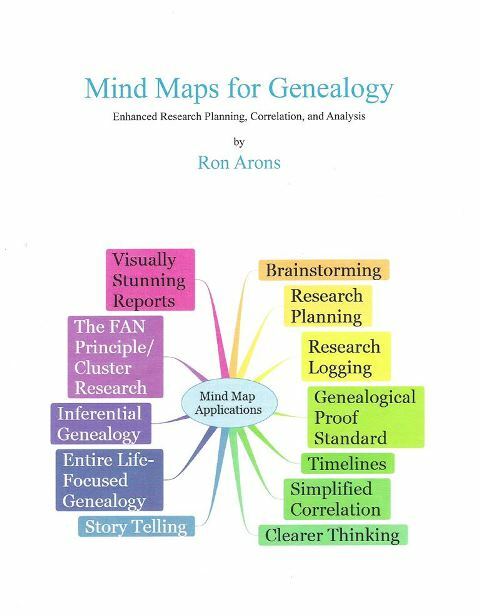 Mind mapping is something we used at work used years ago as a tool with groups planning big projects or strategy development. I’m sure it could be a useful tool for geni’s too. It needs to add value beyond just being another way to sort out piles of digital or hard copies. This would just add to the work load, especially for those with lots of material already filed. Thanks Fran – think I would use it to conceptualise options. For what it’s worth, early on in my computing career (35 yrs ago), I found that a good manual filing system can easily transfer across to a computer. 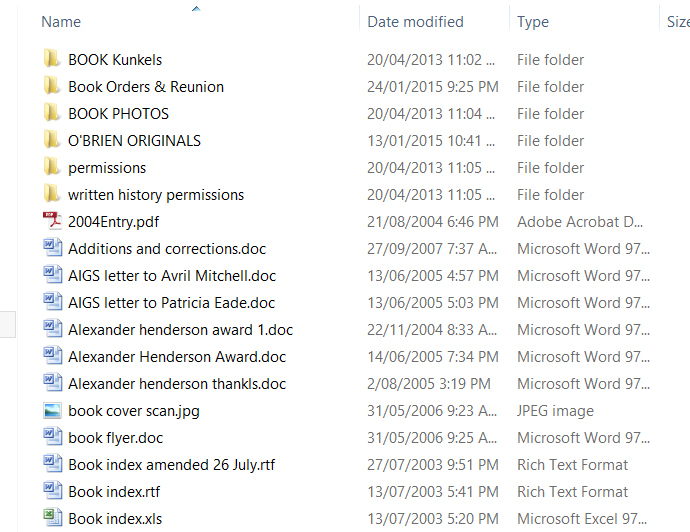 My paper filing system still works just fine, but I need to improve the way I organise digital records. Nancy Loe’s guides have been a huge help. 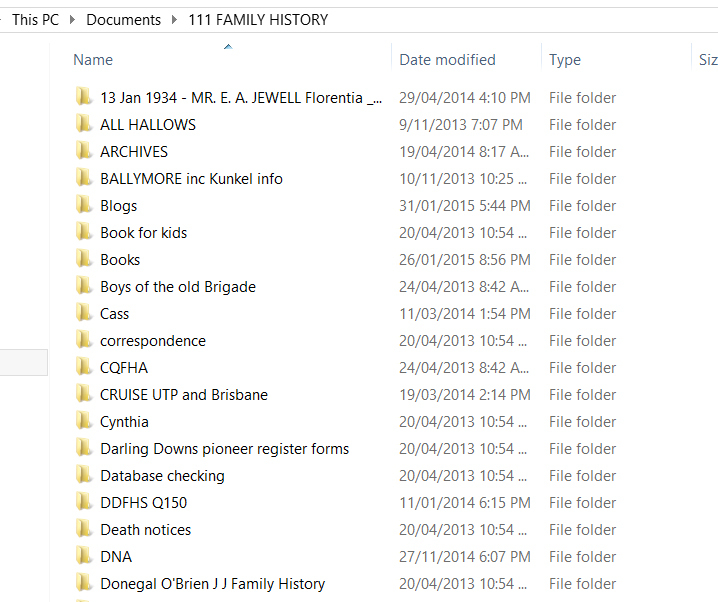 The link is in my post, ‘Genealogy Do-Over or Source-Based Incremenetal Fix?’ at http://genie-leftovers.blogspot.com.au/2015/01/genealogy-do-over-or-source-based.html. Thanks Judy…we’re in the same boat. I will take your advice and get the book. totally organised and neatly systematic. Sometimes. I have rethought the paper vs. digital and have decided I am going to print off everything for each person and store it as a paper file. I will still have it on my computer and at ancestry but if, by some miracle someone after me wants to continue my research, they will have access to what I’ve done. I also need very desperately to clean out my digital files. I have too many files and sub files named “other possibilities” that turned out not to be my people. Thanks Toni for commenting. I can see your point entirely about paper files…I remain ambivalent except for the sheer volume of info that I have. It’s those tedious and time-consuming maintenance tasks that get in the way!